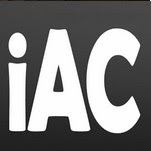 iAppsclub.com was founded in June 2011 by Gabriel Cosut (LinkedIn). iAppsclub.com is a weblog focused on delivering Apple news, reviews, rumors, jailbreak information and tutorials about the iPhone, iPad, and everything iOS related. The site is updated multiple times daily by several editors and writers working from around the world. We're social, you can follow us on Twitter, Facebook, Pinterest and Google+. Enea Strora is contributing for iAppsclub since January 2017. Enea is responsible for the logos of iAppsclub.com. He has a passion for photography and design and is currently finising his study in Marketing. Follow him on Instagram, LinkedIn and check out his latest pictures on 500px. 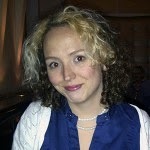 Chantelle has been reviewing iOS Apps since the launch of the app store in 2008. When she's not writing for her Toronto culture Blog TheRoamingLife.com, she's putting every app and accessory she can get her hands on for her iPhone through its paces. Follow her on Twitter @ChantelleJoy. Vishav is contributing writer with the iAppsclub network since March, 15 2014. An iPhone enthusiast who is passionate about technological innovation coming from Apple. Simon is a freelance writer by profession and Technology-enthusiast at heart. He mainly covers topics related to Technology, Android and iOS Apps, and now days he is passionate to cover and write reviews or issues faced by android and an iPhone application development services. He prefers and loves to read about the Changing technology trends and review them of his own. Surya Kumar working at LatestOne.com as Digital Marketing Analyst. He is Freelance Blogger & Content Writer and Like’s to write about Mobile Covers | Smart Watches | Power Banks | Bluetooth Speakers | and all about Latest Tech & Gadgets. Find latest posts on FB, Twitter, G+.